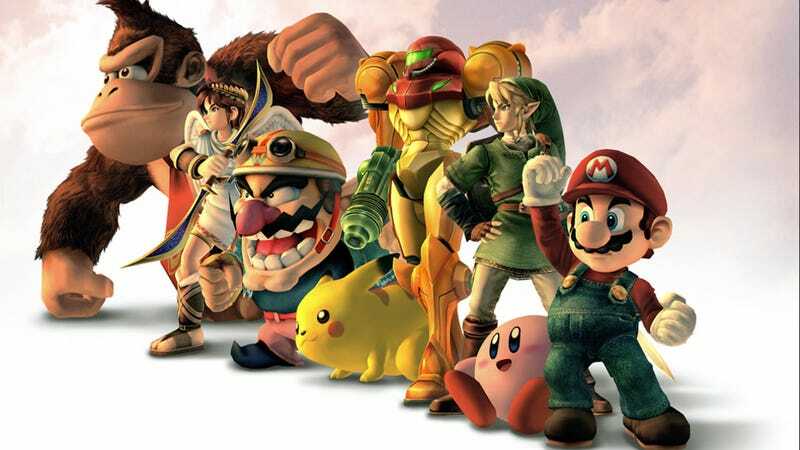 Hey, remember Super Smash Bros. Brawl? Remember the Subspace Emissary adventure mode? Did you see the CG cutscenes? Well, thanks to spoilers, you won't have any of those in the upcoming Super Smash Bros. for the Wii U and 3DS. In his bi-weekly column in Weekly Famitsu, Super Smash Bros. creator Masahiro Sakurai revealed some new details about the upcoming game. One major detail he covered was the exclusion of a story mode and CG cutscenes and his reasons behind it. "Unfortunately, the movie scenes we worked hard to create were uploaded onto the internet." Sakurai lamented. "You can only truly wow a player the first time he sees [a cutscene]. I felt if players saw the cutscenes outside of the game, they would no longer serve as rewards for playing the game, so I've decided against having them." Rather than letting a setback ruin things completely, Sakurai has focused on having video sequences that would instead potentially benefit by being spread around. This has led to the new character intro video sequences for the Villager, Mega Man, and the Wii Fit Trainer. Sakurai expressed a desire to make similar videos for all subsequent new characters. While there will be no story mode, Sakurai assured that the 3DS version would include a feature that would "act as a separate mode from the standard versus play." In terms of features that will be added instead of taken away, Sakurai revealed that the 3DS and Wii U versions would have different stages. The 3DS version will have more portable game-themed stages while the Wii U version will have more home console game-themed stages. Sakurai did not specify whether all the stages would be different. Finally, Sakurai noted that there will be some form of character customizability in the game. This customization will alter character performance, though in what way is still unclear. Sakurai is also considering a way to allow players to use customizations from their 3DS versions in their Wii U versions of the game. Sadly, there was not enough space in Sakurai's column to allow him to talk about online play. Another topic for another time, I guess.